One of the biggest Oceanariums in the world will be opened in Vladivostok in September. One of the biggest Oceanariums in the world is being prepared for the opening in Vladivostok on Russian island. 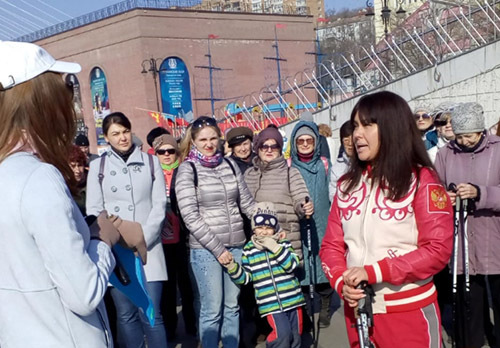 According to the information from “Izvestia” newspaper, it is expected that the biggest in the country exposition of fish and marine animals, located in Vladivostok on the Russian island, will open its doors to the public in the days of East Economic Forum in early September. It is noted that until the beginning of East Economic Forum the Oceanarium complex will be closed. Oceanarium complex includes the unique Oceanarium building itself and delightful walking area, the whole territory is being strictly protected. Some of the aquariums and pools are still being filled with inhabitants, and the Dolphinarium, which occupies almost half of the monumental building, is still under quarantine. According to the Oceanarioum Administration, all the systems and sea animals will be ready to welcome guests at the estimated opening date. Currently only test tours are being held in the Oceanarium. Oceanarium in Primorsky region will become one of the biggest facilities of such kind in the world. Its area exceeds 30 thousand square meters, its aquarium is filled with 24 tons of water. Oceanarium can accommodate 15-18 thousand of sea species that are representing 500 different kinds of living organisms. The 2nd East Economic Forum will be held on September, 2-3 on the territory of Far Eastern Federal University on Russian island in Vladivostok. 19.07.2016 Russians offer to build motels and cultivate shellfishes on the "Far Eastern hectares�. 18.07.2016 The first greenhouse gases monitoring station in Far East will be established in Vladivostok. 13.07.2016 Alexander Galushka presented projects of development of international transport corridors in Primorsky territory to Chinese journalists.